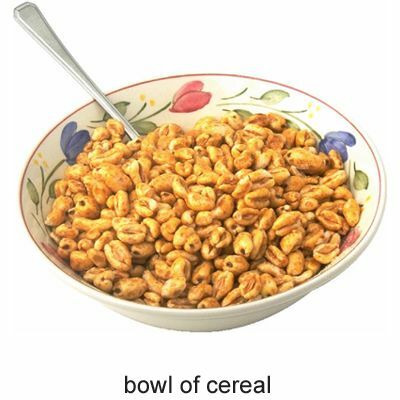 bowlbowl1 /bəʊl $ boʊl/ ●●● S2 W3 noun 1 containerCONTAINER [countable]DHH a wide round container that is open at the top, used to hold liquids, food, flowers etc → dish Mix all the ingredients thoroughly in a large bowl. Fill the bowl with water.a mixing/serving bowl (=a bowl used for mixing foods or serving them) Beat the butter in a mixing bowl until creamy and soft.a soup/salad/cereal etc bowl (=a bowl to eat or serve soup, salad etc from)2 AMOUNTamount [countable] (also bowlful)TM the amount of something contained in a bowlbowl of a bowl of rice a bowl of fruit3 GAMEgame a) DSO bowls British English [plural] an outdoor game played on grass, in which you try to roll big balls as near as possible to a small ball SYN lawn bowling American English b) [countable usually singular]DSA a special game in American football played by the best teams after the normal playing season the Rose Bowl4 BALLball [countable] British EnglishDS a ball that you use in the game of bowls5 shapeSHAPE [countable]C the part of an object such as a spoon, pipe, toilet etc that is shaped like a bowl the bowl of a pipea toilet/lavatory bowl6 stadiumSPORT [countable usually singular] American EnglishDS a large stadium shaped like a bowl, where people go to watch special events such as sports games or music concerts the Hollywood BowlCOLLOCATIONStypes of bowla soup/cereal/pudding bowl (=for eating soup, cereal etc from)These work well as pasta or cereal bowls.a salad/sugar/fruit bowl (=for serving salad etc)There are some apples in the fruit bowl if you want one.a mixing bowl (=for mixing foods)Put the butter and sugar in a mixing bowl.a serving bowl (=for serving foods)She put the strawberries in a glass serving bowl.a washing-up bowl (=for washing the dishes in)a plastic washing-up bowla wooden/china/glass etc bowlI broke a china bowl. bowl• But 95 of those seats were booked for a high school band going to play at a bowl game.• Kalchu fetched a bottle of raksi from the inner room and filled a bowl for each of us.• The captain gave him a bowl of cold stew which he could only swallow by gulping it down with wine.• After removing the pan or urinal, give the patient a bowl and water for washing their hands.• Now place a sieve over a big bowl.• Return to a clean bowl and cover with damp towel or plastic wrap, or put the bowl inside a plastic bag.• Mix the eggs and butter in a large bowl.• Cover the bowls only after the soup has cooled, then refrigerate.• A burst splashed into the bowl.a soup/salad/cereal etc bowl• Instead of plunging into the pool you simply put your head in a salad bowl.• Place the lettuce pieces in a salad bowl or large mixing bowl.• Place in a salad bowl with the artichokes, onion and olives.• Place in a salad bowl with the walnut pieces. 2 Whisk together dressing ingredients.• The lesson starts in a salad bowl.• To serve, measure a few tablespoons of mixture into a cereal bowl and add milk.a toilet/lavatory bowl• She could not merely flush her body like a toilet bowl.